Flower by Kenzo is an oriental floral fragrance for women. 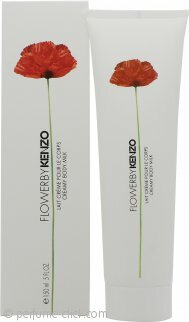 The elegant and sophisticated scent was created by Kenzo Takada to give poppy flowers, which are in most cases scentless, a unique and one of a kind aroma. The notes are composed of several flowers, such as vibrant Parma violet, rose, hawthorn and jasmine. These floral hints are mixed together with opopanax, fruity black currant and mandarin orange. The scent ends with the addition of vanilla, incense and musk, adding depth to the powdery and balsamic composition. Kenzo Flower is without a doubt the most popular fragrance from Kenzo to date. In collaboration with Serge Mansau, the tall, clear bottle showcases the iconic, vibrant red poppy. This collection was designed to illustrate the relationship between the urban world and the people. Kenzo’s aim was to show the joy and kindness of humanity in this ever changing world. Kenzo Flower was launched in 2000.